Our cosmetic dental practice, Staten Island Dental Care, specializes in family dentistry . If you have a family and are looking for a dentist that can put you and your children at ease while providing top of the line dental care, give us a call. You can reach Staten Island Dental Care at (347) 695-4370. Staten Island Dental Care has provided family dentistry to the greater Staten Island area since 1983. We place great importance on preventative care and oral health. They key to a healthy smile is brushing twice a day and flossing daily, as well as visiting your Staten Island dentist regularly. Our dental practice also offers a wide variety of cosmetic dental procedures to patients who would like to improve the look of their smile. Once your teeth are healthy, consider how much better your smile could look with teeth whitening or porcelain veneers. The improvements you make on your teeth can have a big impact on other areas of your life. Would you like an excuse to smile more? Talk to us about cosmetic and family dentistry. 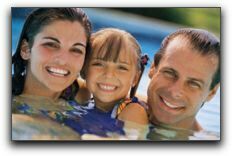 You can learn more about family dentistry at https://www.afraidofthedentist.com/.